The first time I flew a kite was when my oldest son was three years old. At least that’s the first time I remember. I have no memory of flying a kite as a child. Ignoring the risk of this statement being a trigger to a psychoanalysis session that’s over 30 years of missing the simple experience of flying a kite. The first time I flew a kite was amazing at so many levels. It started with running like a child holding the kite over my head trying to understand when would be a good time to let go. After a few tries, the kite seemed as if it is both struggling with the wind and using it at the same time. The higher I let it fly, the more independent it became. And when it was high enough, I suddenly felt how powerful the wind is It was nothing like the wind down on the ground. When my kite was high enough, I noticed its movements — it became alive. I was still holding it, but it appeared to be so free — as if it has a will of its own. The string I held was so tight I had to use both my hands and watching it disappear high in the sky made me feel as if I am holding on to an invisible star. Flying a kite was an uplifting experience. How often do you do something unusual — something you don’t have to do and didn’t think of doing? How often do you do something with no purpose other than the experience itself? How often are you doing something and concentrating on how it feels without taking a picture a second later and posting it on Instagram? Chances are the answers to these questions is: not too often. When I started to develop seempli, I aimed for creating a platform helping people to develop their core creative skills: observation and imagination. However, there is an even deeper layer that affects creativity, and it is not even a skill, at least not in its classic sense. Creativity starts with the way you experience the world. Without experiences, we can never create or imagine anything new. We live in a time in which we experience less. On one hand, we are flooded with information and content. More people are creating more content which is distributed more rapidly than ever before. But consuming content is just one (dare I say often shallow) type of experience. Often it is a passive experience. Even when we are doing something actively, like visiting a new place, we rarely let ourselves really experiencing it — we pass by, record it, and move on. And we lose so much by doing so. Imagine doing one special or unusual thing a day. Imagine doing one thing that makes you feel something different — something you haven’t felt in a while. Imagine not letting a day go by without an experience. How do you do that? seempli eXperience. The new layer in the seempli Creativity Platform is designed to trigger experiences. Unlike the other parts of our platform which ignites creative insights, with seempli eXperience all you have to do is give yourself the chance to make every day special — follow the instruction on the eXperience card, do it mindfully, and let yourself enjoy it. That’s all. When you experience things you are not used to, you surprise your mind. In time your mind will become more flexible. The more you do things beyond your daily routine, your mind will ask for even more special experiences. This feeling of surprise, the ever-growing flexibility, and the need for something out of the ordinary are all essential ingredients of creativity. 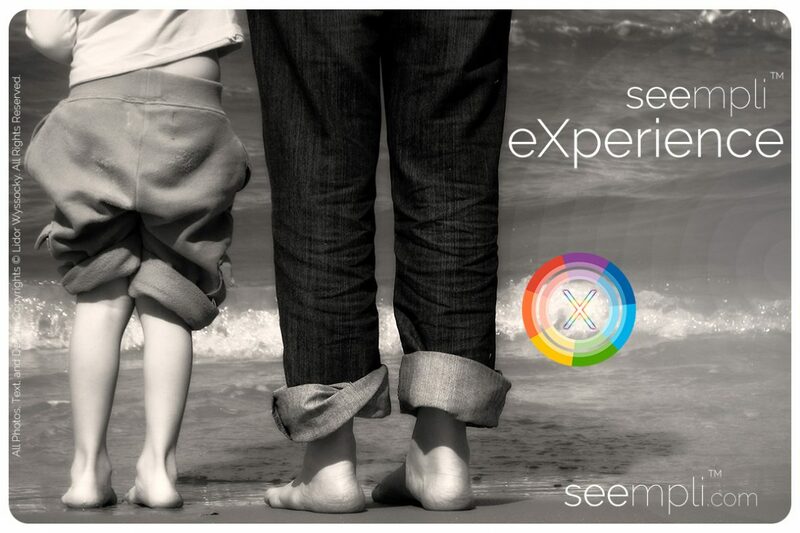 The more you play with seempli eXperience, the more creativity-ready you will become. Experiencing stuff is a prerequisite for creativity. To turn the momentum it provides into creative action, you will need to practice Observation and Imagination. These are the skills that take your ability to experience and turn it into creative insights. The rest of the seempli Platform will help you develop these essential skills and then apply it to real-world challenges you face. So, what should you do next? Just create a reminder to visit the new seempli eXperience channel every day, take the eXperience card with you and be sure to follow its instructions during the day. That’s all there is to it. The more you do it, the better your experiences get. Ready to eXperience life? Let’s start today!